The Panther features double-strap brackets, 31 treble keys, and 12 bass/chord buttons. 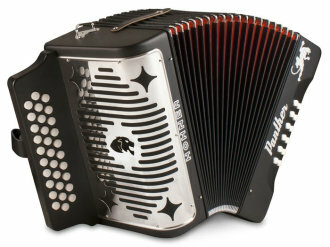 The Panther Accordion features double-strap brackets, 31 treble keys, 12 bass/chord buttons and 2 sets of treble reeds. 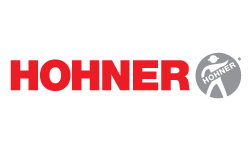 The Hohner Panther Accordion is 12 inches high x 7-1/2 in. deep and weighs 9 lbs. Plays in G, C, and F.
The whole world loves the unforgettable sound of the accordion! Heard in countless countries worldwide, this fascinating instrument has a timeless quality. The accordion's beautiful tonality is simply perfect in almost any musical genre. 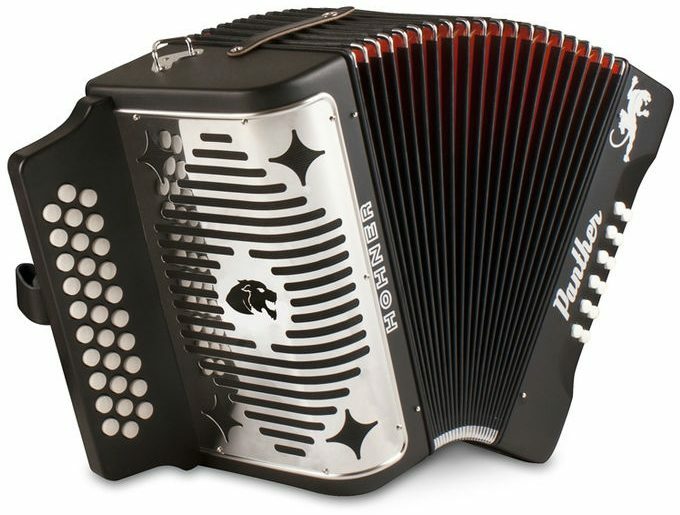 Take advantage of the great feeling and enjoyment that the accordion offers and develop your own personal style. Available until 11 PM (EST) today. Mention special code 20B-S8FZ when you call.